Prime Minister Modi said this mega event would be a new experience for the visitors who will not only realise India's ancient culture but also get a glimpse of 'New India'. PM Modi requested the Indian community to make a habit of visiting their country of origin with friends. Jakarta: Prime Minister Narendra Modi today announced a 30-day free visa for Indonesian citizens and invited the Indian community to travel to their country of origin to experience the 'New India'. 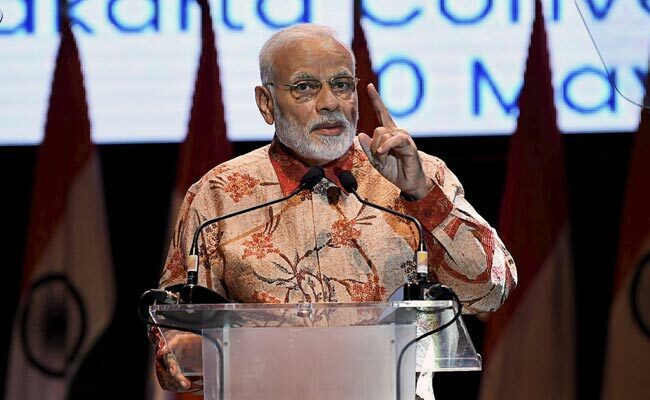 Addressing a gathering of the Indian diaspora at the Jakarta Convention Centre in the Indonesian capital, PM Modi said, "not only do the names of our nations rhyme but also there is a distinct rhythm in the India-Indonesia friendship." "We will grant free of cost visa for Indonesian citizens for travel of up to 30 days," PM Modi said, amid applause. "Many of you may never have been to India. I invite you all to come to India for the Kumbh in Prayag (Allahabad) next year," PM Modi told the gathering. He said this mega event would be a new experience for the visitors who will not only realise India's ancient culture but also get a glimpse of 'New India'. Kumbh Mela is one of the largest human congregations on the Earth. PM Modi requested the Indian community in Indonesia to make a habit of visiting their country of origin with friends and experience how India has been changing. Taking a dig at the previous governments, PM Modi said his government's first priority was to make India corruption free, citizen-centric and development friendly. "Our government, has been preparing India according to the need and expectations of the 21st century," he said. "We have gone a step ahead of Ease of Doing Business.' Our focus is Ease of Living.' Our processes are transparent and sensitive," PM Modi said. "We have to make a 'New India'. We have to start working to realise the dream of New India by 2022, when India will celebrate 75 years of her independence," PM Modi added. In the last two-and-a-half years, more than 9,000 start-ups have been registered in India, he said, adding that the world's second largest start-up ecosystem is built in India. "And my friends living in Indonesia, these are happening, laws are the same, officers are the same, offices are the same, tables and chairs are the same, only the government has changed and the country is changing," PM Modi said. "If the policy is clear and intension pure, then development has to happen which we have shown," he asserted. He lauded the people of Bali and Surabaya for rescuing thousands of Indian tourists stranded in these two places at the time of volcano eruption last year and making arrangements for their safe return. "For this human act, I praise you with all my heart and I thank you. Showing such gestures of human values have been an integral part of India. We are living this with the same spirit in India," PM Modi said. Be it an earthquake in Nepal or flood in Sri Lanka, India has been recognised as one of the countries which always come forward at the time of calamity, he said. 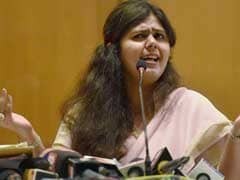 "There is a sensitive government in New Delhi which does not see the colour of the passport. For us, an Indian is important. And in times of calamities, in the last four years in different places, we have rescued and brought back more than 90,000 people without seeing the colour of their passports," PM Modi said. Prime Minister Modi, who arrived in Jakarta last night on his first-ever official visit to Indonesia, earlier met President Joko Widodo at the Merdeka palace, one of the presidential palaces in Indonesia.